* I received this product complimentary for testing and review purposes from Influesnter. Innovative formula with Silica is responsible for the strong matte feeling & volume which makes this product unique and a must have. I personally recommend this product for volume and easy application. 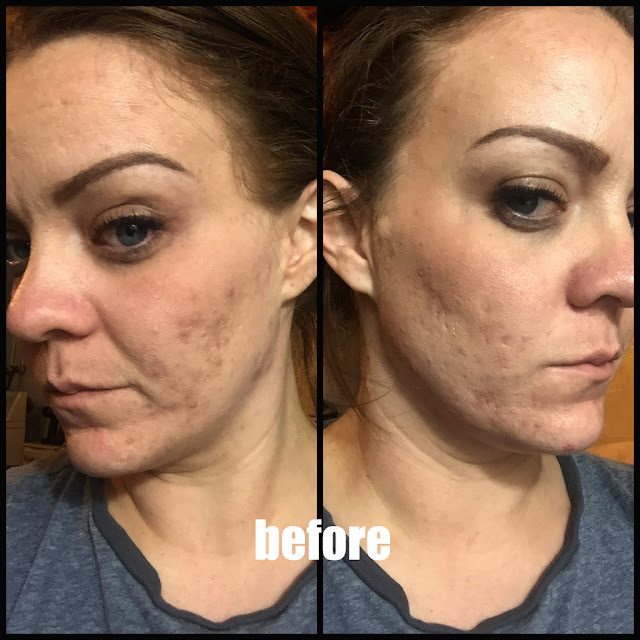 As you can see in the before and after pictures this does make a difference in volume and you can see the mattifying power that it promises. You can find this at Ulta for around $23.50. This is a great price considering the amount you get and the small amount you actually use for each application. If you enroll in the Ulta club, you can also get great savings which can make this product even less money!! I've been using this stuff for years; it works great! However, I wish they had a version for dark hair because its visible on my darker hair. Kelly- I agree! I recently colored me hair to this color from a dark red. I had to do a lot of "blending" to get the powdery look out. It works waaaay easier with lighter hair!